The Accademia della Crusca provides users with a Linguistic Advice service for all those looking for grammatical and lexical information and clarification, explanation of linguistic facts, origin and history of words. A staff composed of linguists examines the asked queries (about twenty per day on average), and answers to the most asked ones. The answers published on the website are structured in a way to retrace the history of the linguistic facts, motivate and document their evolution. The Linguistic Advice also deals with issues of general importance with the aim of stimulating reflection on the features of contemporary Italian. According to this perspective, the answers aim at providing not only the solutions to the queries, but also a critical orientation for facing problems and phenomena that involve both the linguistic and the cultural evolution. This activity, started more than ten years ago, has led to the creation of an archive of hundreds of answers, steadily increasing at the rate of one every week. In the last ten years, the Linguistic Advice has received tens of thousands of queries and most of them have been answered with personal advices to the person concerned. 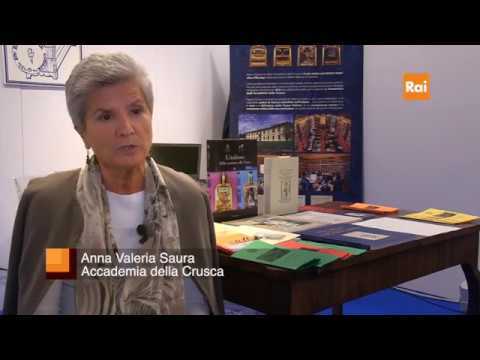 The periodical La Crusca per voi is still another important channel of dialogue with the public, in which answers by linguists and academicians are published. In this section, it is possible to consult the answers to the questions through the list or through the searching tool in the archive. If you do not find the answer you were looking for, you can ask directly to the Accademia. The activity of Linguistic Advice is not a recent innovation. For a look back at the past read the history of Linguistic Advice.